The Spurs got a huge win over the Warriors the other night, doing what many thought was impossible, shutting Steph Curry down completely. I think the Spurs have too much to offer for the Hornets to handle tonight. The Warriors won't want their chance to finish with the best regular season record in NBA history slip away, expect them to bounce back in a big way and stomp the Timberwolves. The Cavaliers are such an unpredictable team, but I can't see the Nuggets getting any form of result in this one. The Cavaliers really need to stop dropping easy games to teams they should beat, as the Raptors are only a game behind for the #1 seed in the Eastern Conference. 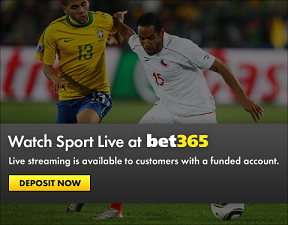 You can watch live basketball with Bet365 as long as you have a funded account. Click here to get a Bet365 account if you don't have one.